NOTE: You must need to enable 2FA (Two-factor authentication) before creating an API on Cryptopia. Click Here to know how to Enable 2FA for Cryptopia. Login to your Cryptopia account. 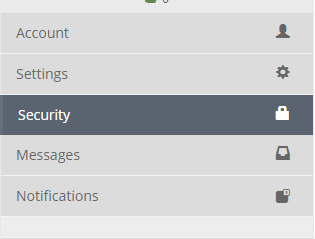 If you haven’t set up your 2FA it will open a pop-up suggesting you to set up (Proceed to next step if set up before). 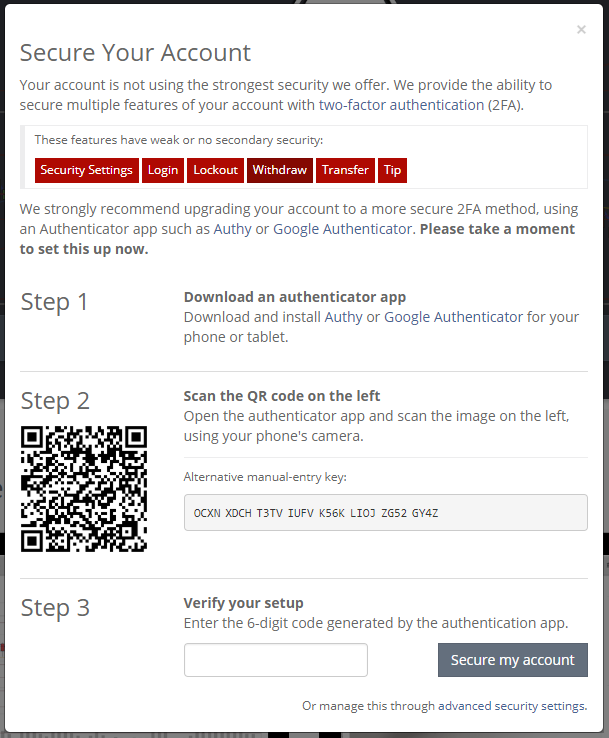 In settings click on “Security” followed by entering your Authenticator app code. Now you have successfully generated API and a Secret key. You need to enter these details in TrailingCrypto to start trading. Automate trading by capturing telegram signal. How Trailing Stop Sell works ?